For years people have said WestJet had bitten off more than it could chew, and last year that finally proved to be true. Now we get to watch Ed try to get the airline back on track, and I’m looking forward to seeing what that means. Even though this has been around for 3 years, it’s just making the news this week. Tipping flight attendants? Not a fan. But then again, I don’t like tipping anyone. I’d rather just have it included in the price. You know I love my fleet retirements. Hawaiian officially retired its last 767 on Monday (though it was pressed into service multiple times this week on an unscheduled basis). This is good for travelers since the A330s have much nicer interiors. But don’t cry if you loved their 767s. Look for them to be flying in United’s colors soon. I don’t mind if Frontier’s policy *allows* tips, but if they become expected, that’s another thing. Don’t get me started! Doesn’t affect me since Frontier’s anemic service from ABQ makes them all but unusable, anyway. I personally can’t wait for Brett to report on AF pulling the plug on Joon, its doomed from the beginning airline within an airline, less than one year after launching it. Song and Ted lasted much longer! What month do you think June will be shut down. I’m guessing June? On tipping… what’s next tipping TSA agents? Oh BTW, do to the government shutdown terminal F at MIA will be closed at certain hours this weekend according to the Thom Hartman Program. This will mostly effect United flights. Just another excuse to pay flight attendants as little as possible. I get the “pay for what you use” theory, but this goes against everything we’ve been led to believe about flight attendants’ purpose. Yes, they provide pleasant service. That’s what we see day in and day out on flights across the United States. They’re the face of the airline once you board the airplane until you get off at your destination. 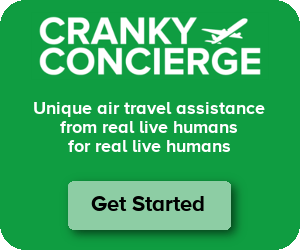 If they’re angry (as United flight attendants were during the Commander Jeff era) or if they’re lazy or incompetent, then the airline pays through lost customers. You pay them well and expect them to be your ambassadors. More importantly, flight attendants are trained in what to do and how to treat people in an emergency. If they’re good and, most are, they know basic first aid, they can assist with medical emergencies and they’re called on to be the leaders in controlling unruly or unsatisfactory behavior in a cabin. If the plane has an emergency, a well-trained and focused flight attendant is critical to perhaps saving a life. Frontier: Cheapness has its bounds and you’ve gone well past it! Oh joy, air travel just gets better and better. When will the nickel and diming stop? After pondering things a bit, I’ve had a change of heart. I’ll be delighted to tip my personal flight attendant whenever the complimentary champagne and caviar are served at precisely the correct temperature, and the silk coverlet on my four-poster air-bed is properly strewn with rose petals. Unfortunately, while Calgary has seen improvements, the changes at Westjet have mean’t a retrenchment in their east coast overseas services. They have eliminated all overseas flights from YYT, cut flights from Ottawa and Montreal, and consolidated other flights into a new Halifax (YHZ) hub. Fliers elsewhere in the region are very unhappy. It’s tough for WS to compete with the former crown corporation that is AC. AC has the majority of capacity in the east. So for WS to shift, not reduce, long haul & trans-Atlantic flying to YHZ (a very under utilized east coast base) was a smart move instead of increasing seats and flying more under performing flights. Keep in mind that WS has never had a bailout such as AC did in 2009. WS is still trying to make a go at it with the public funds and confidence while maintaining a lean schedule and operation. Eh? What bail out? Air Canada was founded in 1937 as a Crown Corporation, privatized in 1988, merged with Canadian in 2000 and went bankrupt in 2003. If you are suggesting that AC has been ‘bailed out’ with taxpayer funds like Ford or GM, to the best of my knowledge that has never happened. Never, since 1937. Shareholders, of course, took a bath. They are subject to an “Air Canada Act” which lays down what they can or cannot do. There is no “WestJet Act”. I’ve said it before and I’ll say it again: WestJet looks more like AC every day (which is good news for AC). They have long since lost the plot. They started as a Southwest clone but ain’t doing that any more. Canada could still use a real Southwest clone. Flight attendants are on the plane to ensure your safety, NOT to bring you Diet Coke. Pay them fairly and treat them right. Frontier, you give me ever more reasons to hate you. And I’m moving to Denver this year, but I will do all I can to never ever fly your miserable airline.